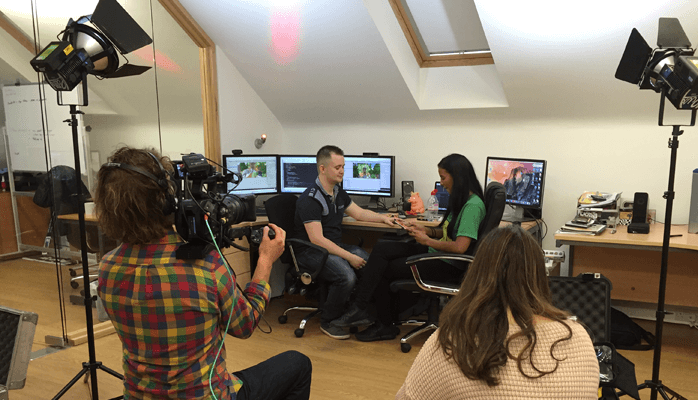 We really enjoyed having CBBC come to visit and it gave us a great chance to show some of the R&D work we have been doing recently. 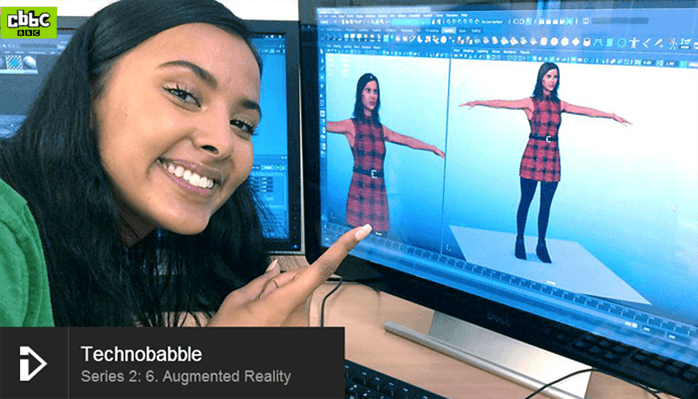 They wanted to know all about Augmented Reality – what it is, how it works and what the future is – so they came to the right place. We decided to show our work with live “Virtual Avatars” which is something we’ve been playing with for a while. By using an RGBD camera (Kinect 2.0 in this particular case), we simultaneously record and project the user into an Augmented environment (a tech note here is that the BBC put so many digital trees in, it almost became a virtual environment!) which is streamed across the internet. We also changed the presenter into different characters changing from herself to a penguin and anything else we could think of on the day. 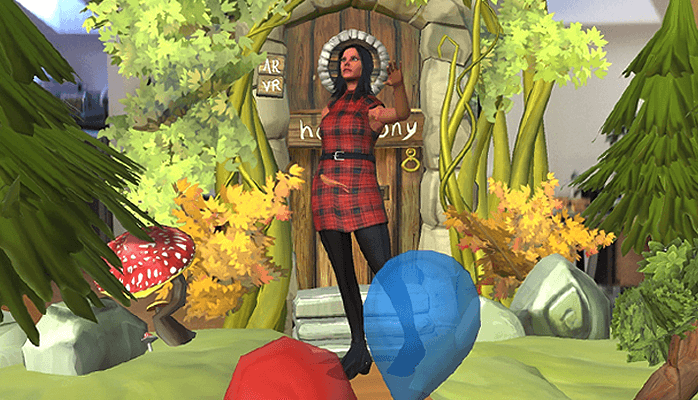 You can also see how we can throw things at the character and the users avatar can also interact with scenery items. The bit we couldn’t show easily was streaming this content to wearable glasses which works really well – imagine that – you can see and interact with a 3D avatar of your friend in the room with you – live!